William W. "Bill" Riggins Sr.
William W. “Bill” Riggins Sr., 87, of Pleasant Plains, passed away on Monday, November 26, 2018 at Memorial Medical Center. William was born on July 24, 1931 in Springfield, the son of William and Mildred Stitt Riggins. He married Norma Brunner on August 3, 1952 at Farmingdale Presbyterian Church. He was a veteran of the US Army serving during the Korean War. He worked as a farmer and a rural mail carrier. 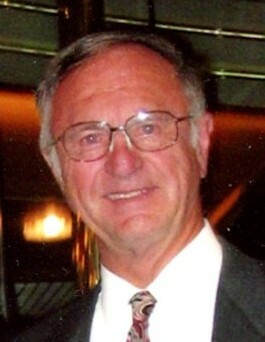 Bill was a member of the Rural Carrier Association, American Legion, and a charter member of the Springfield Ski and Boat Club for many years. He was preceded in death by his parents; and sister, Julianne Thomas. He is survived by his wife, Norma; children, William (Gail) Riggins, Jr. of Pleasant Plains and Becky Ann Riggins of Springfield; sister, Virginia Miller; granddaughter, Brie Ann (Randy) Sulaver; grandson, William Jacob Riggins; great-granddaughter, Jayde Koster; several nieces and nephews; and very close friends the Kieffer family. Visitation will be from 10:00 a.m. until the time of the funeral service at 11:30 a.m. on Thursday, November 29, 2018 at Ellinger-Kunz & Park Funeral Home with Reverend Lonna Lee officiating. Burial will follow at Pleasant Plains Cemetery.